Outdoor Writer Joel “Doc” Kunz | Doc's - River Fishing & More! Doc's – River Fishing & More! Outdoor Writer Joel "Doc" Kunzhttp://wolfriverwalleyeclub.comFreelance outdoor writer and photographer from Fremont, WI. Producer and host of Talking Wisconsin Outdoors Podcast and editor of Life On The Wolf.Com online magazine. A current river conditions report and a hint on some other activity. The picture is OBVIOUSLY from a long time ago. 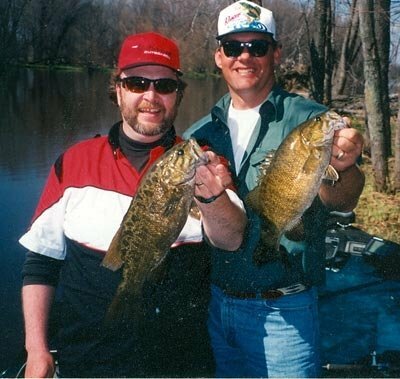 Brian Noble and I with a couple of dandy smallmouth bass caught at the same time. 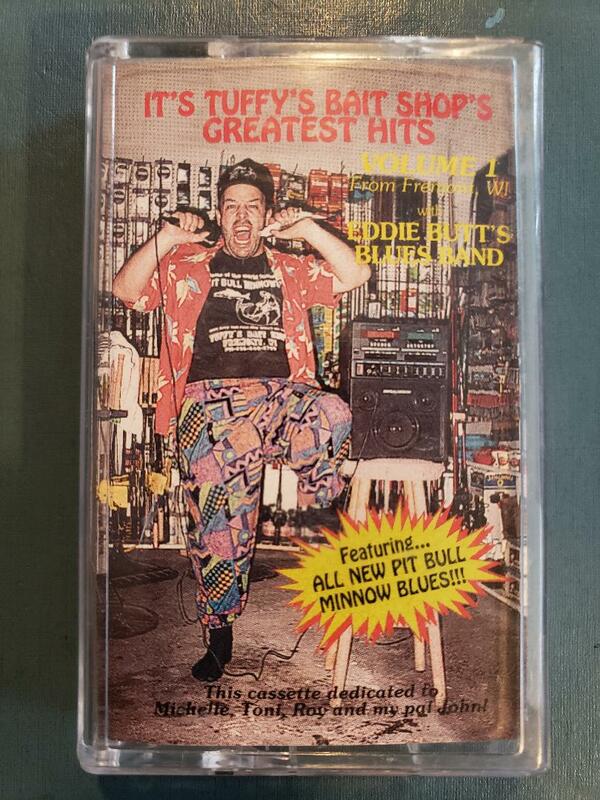 OK, here it is just in case you lost your cassette tape or cassette player. With added intro’s to each song. Recorded live. Spring is sprung so I’m back at it. Walleye fishing about to really get going on the Wolf. BACK IN THE SADDLE WITH A NEW COMPUTER!!! Listen and share please. A new episode after a couple got lost due to a glitch in the system. So, after updating my software, here it is #73. Some good info on the walleye fishing here on the Wolf, which is starting to heat up. HEY, Back In The Saddle Again!!! Sorry for the delay in episodes. Listen to the Podcast for the answer for that delay. LOTS of new things gonna be happening with this Podcast and my byline in Midwest Outdoors in combination. If you work with or are aware of any outdoors groups such as The Lake Poygan Sportsmens Club, Outagamie Conservation Club or Walleyes For Kids who I already work with, please put them in contact so that I can share any pertinent information here and in Midwest Outdoors. Wolf River water level and fishing report.